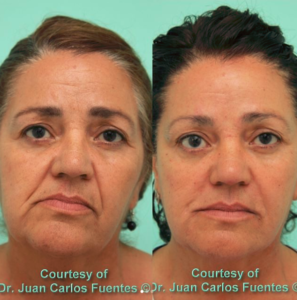 If you are looking to take years off your face,soften your natural features or get rid of crow’s feet without going through surgery, you should look into injectable neuromodulators. At COSMED Clinic we offer a full menu of non-invasive cosmetic procedures performed by the most talented medical staff. It works by temporarily suspending muscle movement, which will smooth out overlying skin – yes, say goodbye to those annoying wrinkles! Temporarily erase wrinkles from localized areas on your face. The procedure is set to be short, uncomplicated and you’ll experience little to no pain. It is performed at the doctor’s office and you could even get it done during your lunch break! Minimal discomfort, no real downtime and no scarring. Results can last anywhere from 2 to 6 months, depending on the patient, so you can plan ahead and maintain a natural youthful skin year-round. Apart from Botox ® , here at COSMED we also offer other brands of injectable neuromodulators: Xeomin ® and Dysport ® . All 3 have the potential to get you incredible results! Which one is the best? Well, it all depends on the patient’s needs and areas to be treated. A consultation with our residing expert in the matter, Dr. Carlos Fuentes, will determine the best injectable for you and your aesthetic goals. Before and after. Botox & Fillers. The best way to ensure you are going to get excellent results is by going to a certified provider. 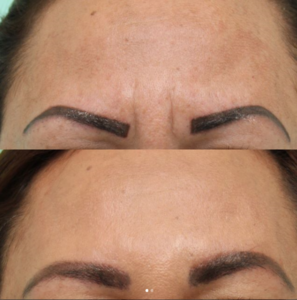 Not all doctors are trained in the correct use of injectables and it takes years of experience to achieve a technique that yields flawless results every time. At COSMED we couldn’t pe brouder to have Dr. Carlos Fuentes in our team. Dr. Fuentes is a board certified plastic surgeon, with years of experience in facial rejuvenation through surgical and non invasive procedures, such as Botox ® . His years of dedication have made him one of our patients’ favorites. Not only is he a board certified member of the Mexican Board of Plastic, Aesthetic and Reconstructive Surgery, but he is also an active member of the International Society for Aesthetic Plastic Surgery (ISAPS), the American Society of Aesthetic Plastic Surgery (ASAPS), and the San Diego Plastic Surgery Society.